It's summer which means vacation time, so it's become a little bit quiet in the bloggosphere. But today I want to show you what I am knitting over summer time this year. Unfortunately, I had to frog my summer dress project for now. I tried different things but was never happy with how it looked. 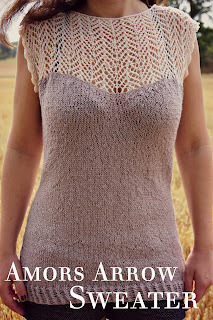 Maybe it's the yarn or maybe it's my super great vision of this project that can't be realised the way I want it. 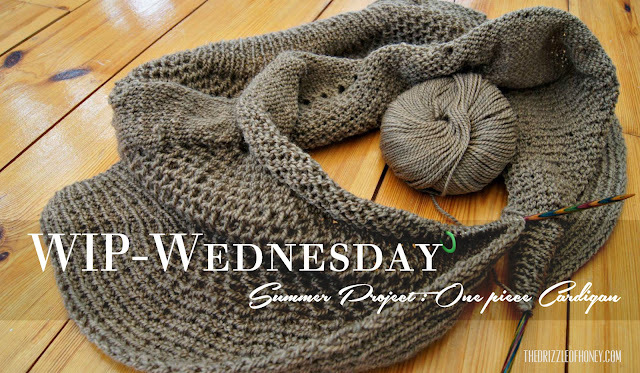 However, I decided to take a break from the dress project and to commit myself to another summer knitting project. 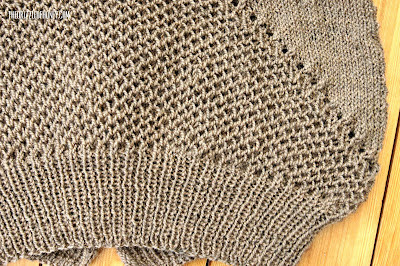 When saying summer knitting project I don't mean that it is something to wear in summer but rather that I am knitting this project over summer time. Well, we don't have the best summer this year, so my summer project turned out to be a cardigan. I am making a bottom-up seamless cardigan with raglan shaped sleeves. It will have kind of a baggy or oversized shape. 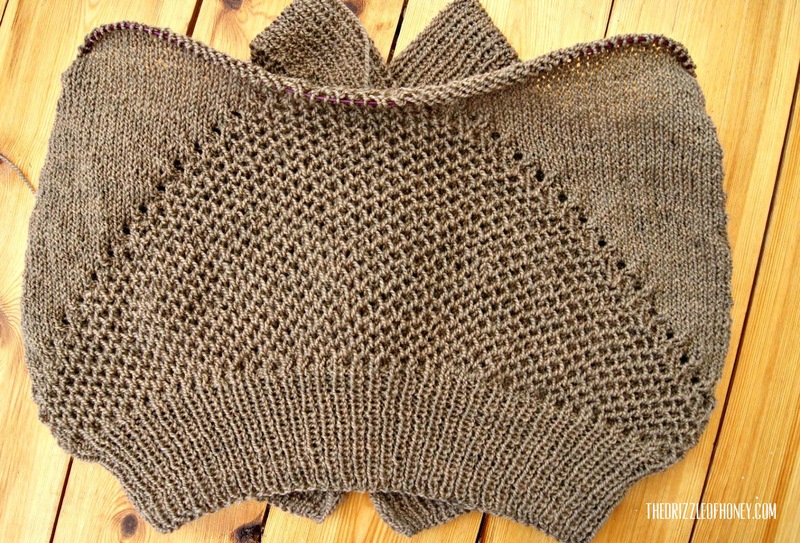 And thanks to the BC Garn Semilla yarn that I am using (100% super soft wool; 50g/160m) I get the result that I am going for. 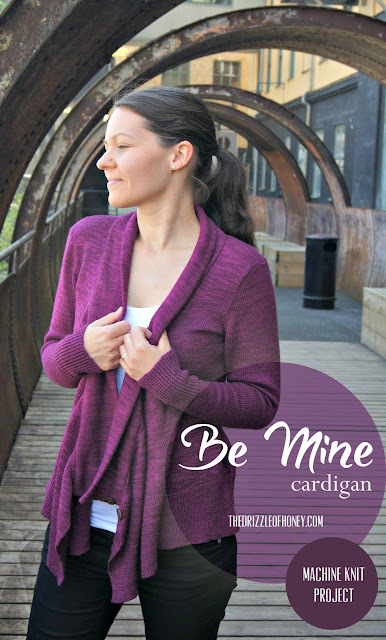 The kind of cardigan that gives you a big hug and just wraps you warm and nicely. This is how far I've come so far. I'm knitting in one-piece-construction from the bottom up. 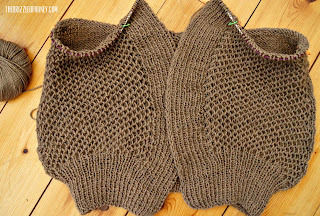 Now I've reached the point where I need to make the sleeves and then join the whole cardigan together to start the reglan decreases. As you can see here a little bit closer, I am using the honeycomb brioche stich (others may call it Bee stich). This stich gives a really nice and thick but still kind of airy fabric. I am knitting it with 4,5mm needles. This will be the back of the cardigan. 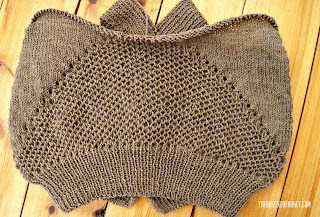 I am creating a triangle shape with the honeycomb brioche stich and frame this shape with some yarn overs. 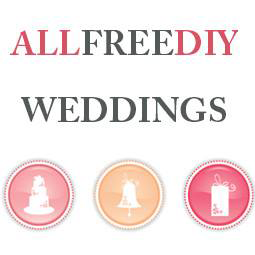 And this will be the front. The cardigan is not meant to be closed. So, I will not add buttons. Instead I intent to wear it with a leather belt or simply open of course. 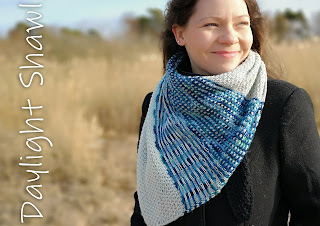 Enough about the design, now I want to show you how to knit the honeycomb brioche stich. It looks a little bit difficult but is is actually very simple! It's only a two stich and four row repeat. And you will need a multiple of 2 stiches in the row. I recommend a purled set up row on the WS. Then the honeycomb brioche stich can be started on the RS. (RS) Row 1: *k1, k1b*, repeat to end. (WS) Row 2: *k2tog (pick up the top stich from k1b and ktog with st on needle), k1*, repeat to end. (RS) Row 3: *k1b, k1*, repeat to end. (WS) Row 4: *k1, k2tog (pick up the top stich from k1b and ktog with st on needle)*, repeat to end. In the two pictures below I want to clarify for you what picking up the top stich from k1b looks like. 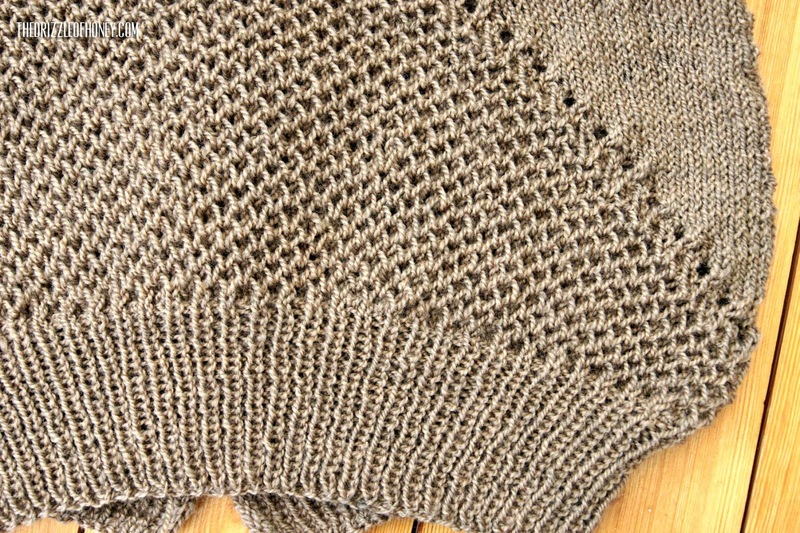 When you k1b, you results in having what looks like two purl bumps on this stich in the next row. You need to knit one of those two bumps together with the actual stich on the needle in the next row. 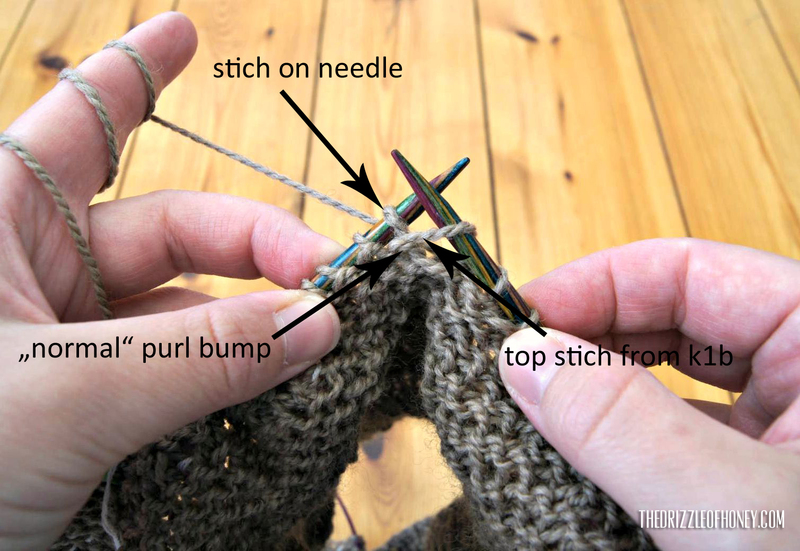 You have to be careful not to pick up the "normal" purl bump, but the looser one that's on top. 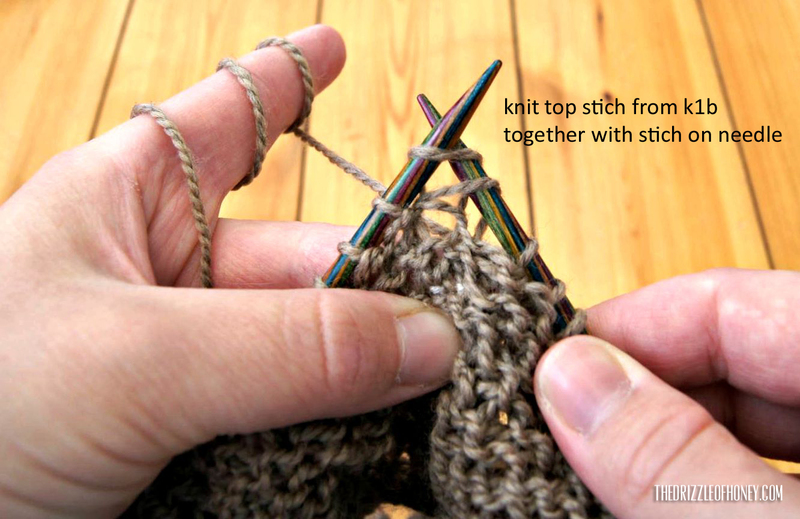 So, put right hand needle into the stich on top of the k1b and knit it together with the main stich that's on the left hand needle. (see picture below). That's the only tricky part. But once you've got the hang of it, it's no problem at all. 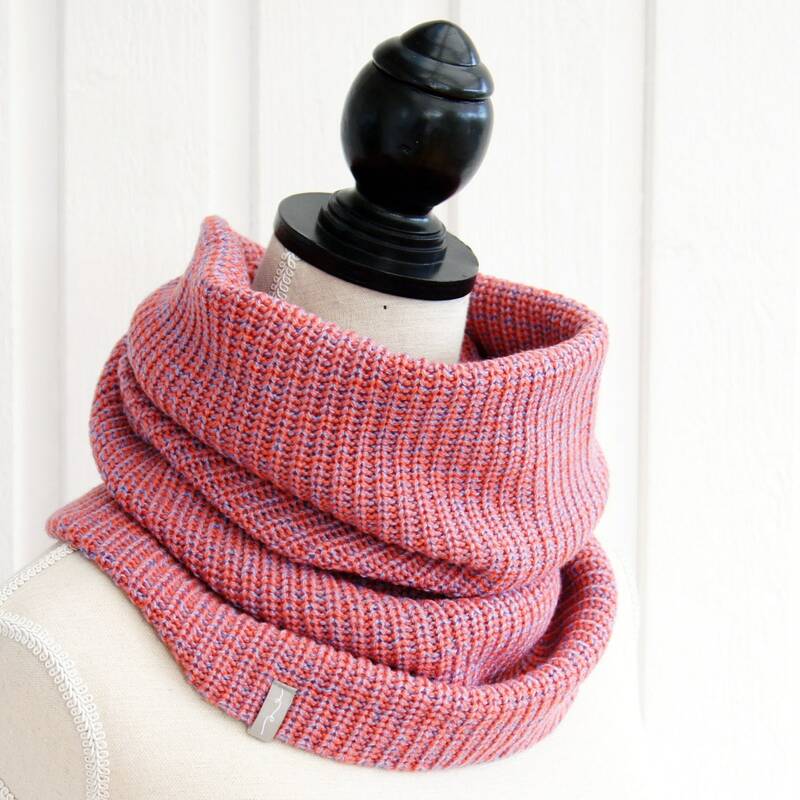 There are also a lot of video tutorials available on knitting this stich.